R. Kelly, the singer who stands accused of 10 counts of aggravated sexual abuse, pleads his innocence in his first interview. The singer – whose real name is Robert Sylvester Kelly – cried as he discussed the recent allegations against him and plead for people to believe he’s innocent. King has shared stills from the interview tapes, which show Kelly’s emotional pleas. One image depicts him standing up and gesturing off camera. A documentary titled Surviving R. Kelly, a six-part Lifetime programme detailing sexual abuse allegations against Kelly, was released in January. In his first interview since its release – and his subsequent arrest – Kelly insisted the allegations were simply ‘rumours’ and are ‘not true’. When King, who kept her compose in the face of Kelly’s emotion, asked if he’d ever held anyone against their will, he returned to his lawyer’s old argument, he didn’t need to because he’s a ‘rockstar’. 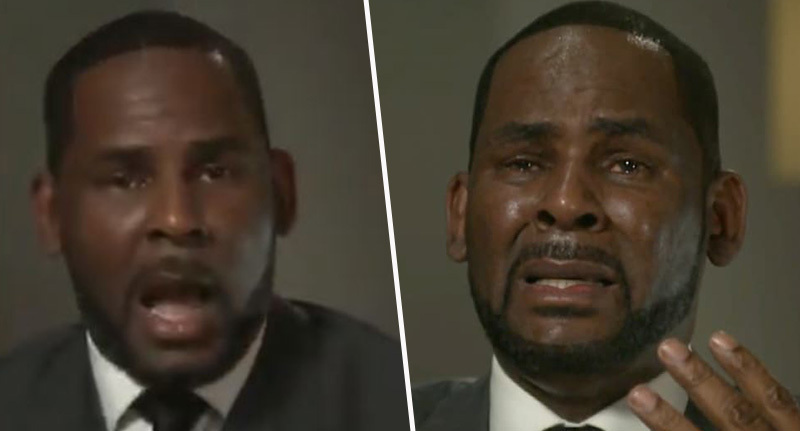 How stupid would it be for R. Kelly, with all I’ve been through in my way, way past, to hold somebody – let alone, 4, 5, 6, 50 you said – how stupid would I be to do that? Use your common sense. The allegations he has sexually, emotionally, and physically abused women and girls for decades – three of whom were between the ages of 13 and 17 when their alleged attacks took place – are ‘stupid’ and ‘not fair’. The claims against him date back as far as May 1998, and include allegations from parents of victims who’ve publicly accused Kelly of holding women against their will in what was described as an abusive and controlling ‘cult’. He emphasized he had been acquitted in one case already. Kelly was taken into custody February 22 in Chicago, and spent several days behind bars before coming up with his $100,000 bail. He says he is innocent of all charges.